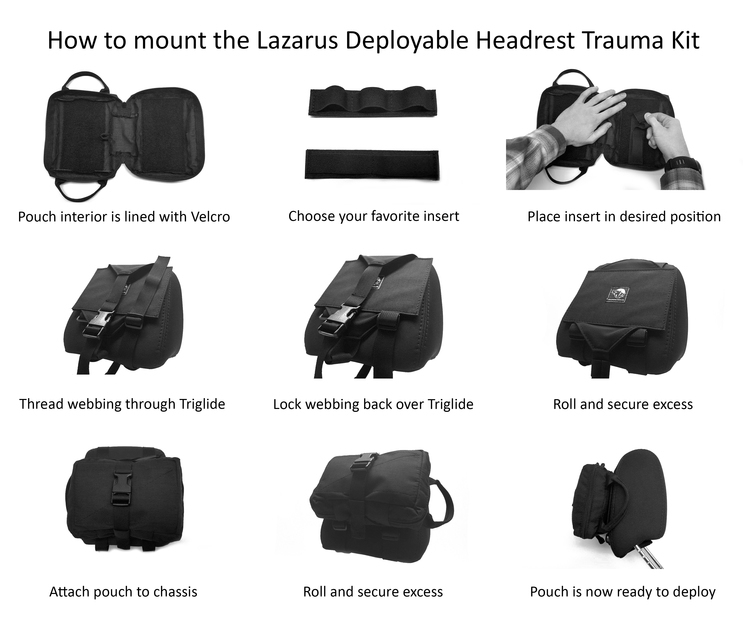 The Lazarus Deployable Headrest System is a simple, yet effective solution for easy-to-access to medical equipment in one convenient package. The Lazarus Deployable Headrest System mounts to the headrest of your vehicle. 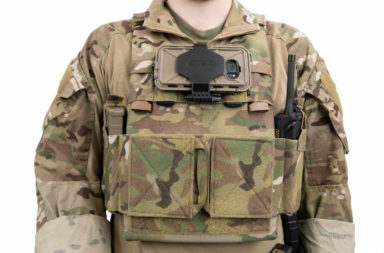 It can be mounted to either side of the vehicle and deployed by either the passenger or driver quickly and safely. 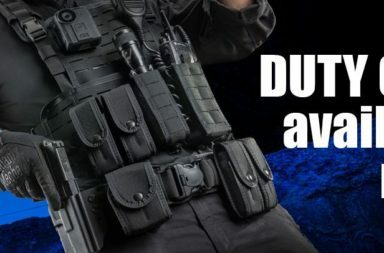 The pouch deploys from either side, making it a great option for use in police cruisers, where there is often a protective shield that divides the rear compartment from the front of the vehicle. It also makes it easy for either passenger to deploy the kit from either seat. Americans spend a substantial amount of time commuting in their vehicles. Consequently, car accidents are a leading cause of both injury and death in America. We are much more likely to experience a situation requiring medical response than any other emergency scenario we train and equip for. Police offices and first responders spend almost all of their working hours patrolling in their squad cars and responding to traumatic events. It only makes sense to keep medical equipment in your vehicle and easily accessible. The pouch fully opens, allowing you to fully access to your contents. It also lays flat, creating an easy work space while retrieving parts from the kit. 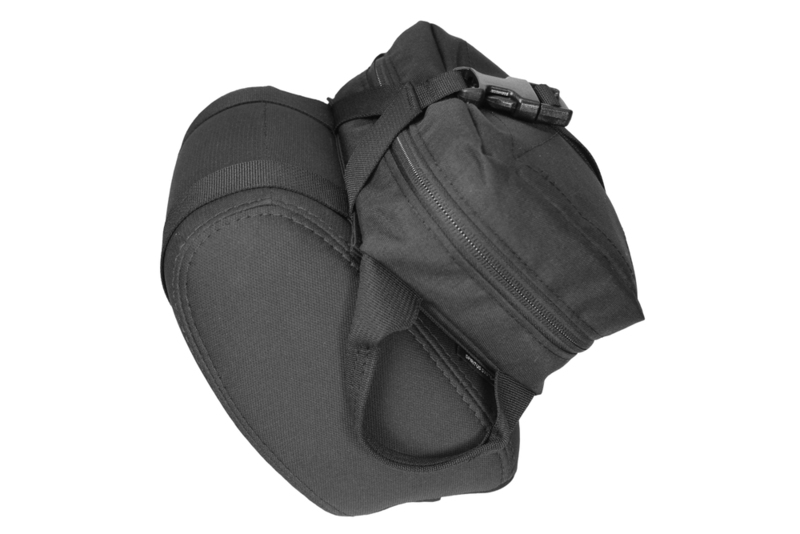 The pouch is Velcro lined and accepts the entire line of our Pouch Insert Suite for better organization of contents. 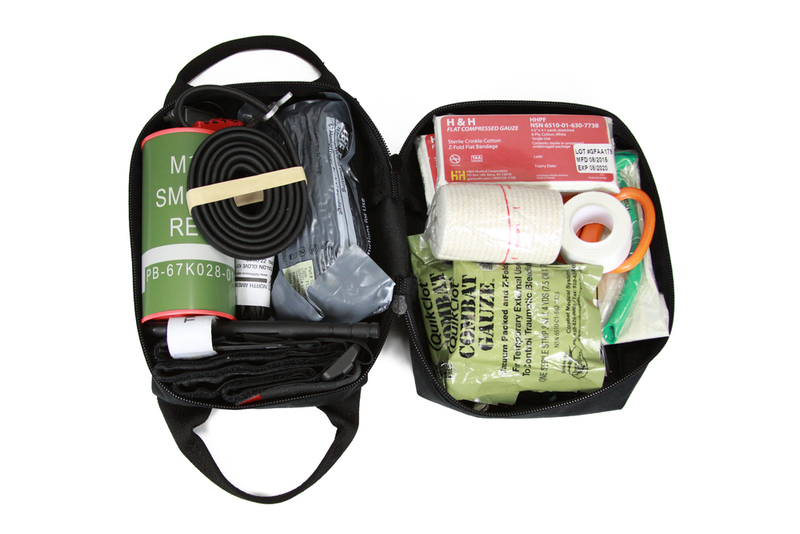 This kit comes as a two piece system: the Pouch and the Head Rest Chassis. 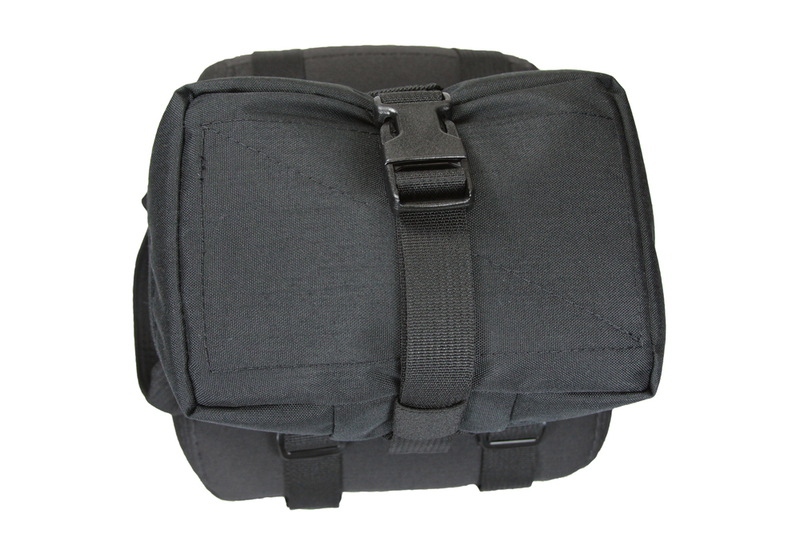 Simply mount the Chassis and slide the Lazarus Pouch into the 1 Inch Strap. To deploy, pull one of the two handles and the pouch will break away from the Chassis, ready for use.